Advancells – Working Towards Making Stem Cells Therapy A Reality In India ! Stem cells play a fundamental role in our biological development. They are the body’s building blocks capable of generating an entire human being in vitro. These stem cells promise to provide medical science with a powerful tool. Recent breakthrough in the understanding of the intrinsic and extrinsic regulators of stem cell proliferation and factors controlling cell lineage determination and differentiation have made it possible to culture human stem cells. Stem cells are ‘un-specialized’ cells that continually renew themselves through cell division. Just like the stem of a plant will produce branches, leaves, and flowers, so stem cells can usually produce many different kinds of cells. The youngest and basic cells of the multi-cellular body occurring as early as the eight celled stage of human development. The field of stem cell research is still young. Successful culture and characterization of human embryonic stem cells was achieved just over a decade ago. Since then, some advances have been made towards understanding the basic biology of stems and their differentiation into different cell lineages. Though in its nascent stage with evolving regulatory norms and less awareness, stem cell treatment is regarded as the future of modern medicine and has opened great avenues for healthcare and wellness entrepreneurs. By adopting them, medical sector can explore new cell based therapies for treating serious conditions such as genetic autoimmune diseases, neurodegenerative disorders, spinal cord injuries, cancer etc; which were so far known to be the major threats in medicines. Stem Cell Therapy has the innate scope as the next panacea for all ailments. The immense potential of an umbilical cord in treating incurable and irreversible diseases like diabetes, heart disease, Parkinson’s and Alzheimer’s has brought the therapy at the center stage. Also known as regenerative medicine, this Stem Cell Therapy promotes reparative reaction to diseased, dysfunctional or injured tissue using a group of cells descending from a single original stem cell or is grown in a lab. Human clinical trials show that these new cells go to the diseased or injured body part and begin to generate healthy cells and tissue; the cells are especially successful because they contain the exact DNA of the patient, preventing cell rejection. Lately in India, stem cell therapy has become focal point and several undertakings in Research & Development are being taken. The Stem Cell Research Forum of India says the stem-cell industry may grow at 15% reaching a billion-dollar industry by 2017. Vipul Jain, Founder, Advancells:- Vipul Jain is a serial entrepreneur who specializes in spotting business opportunities in the inchoate stages. An MBA from Rochester Institute of Technology, New York, he started his career in 1999 by establishing a fabrics import enterprise, extending the family business of garment exports. Vipul In 2002 established Mirage Animation which produces television-quality animations for clients such as Warner Brothers, Disney, Channel 5 etc. The very next year he identified another exciting opportunity in the Medical Tourism space which led him to co-found a company called PlanetHospital. This soon became the world’s largest medical tourism company and was listed on Nasdaq in 2011. 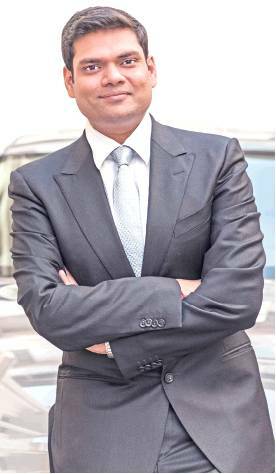 Next, Vipul exited PlanetHospital to establish his own Medical Tourism business by the name of Mirage Medserv which focuses on countries such as Russia, Africa and the Middle East. Mirage Medserv is today one of the largest facilitators of patients of almost all major hospitals in the country. As an extension of his pro-active demeanor, Vipul is also a part of Round Table India and various other social organizations. After this, Vipul was looking for something substantial to step in. He came across the Stem Cell Therapy and the next moment he got a vision of his next mission. Vipul established Advancells in 2013 to trap this budding segment of Indian Healthcare Industry. Advancells is a research-based company which focuses on providing cutting-edge Stem Cell Therapies for patients with life threatening diseases and also targets lifestyle diseases with anti-aging technology. Advancells – The Facts and The Future ! While there are number of manual and automated technologies available globally for processing and separation of stem cells, at Advancells possessed the best in the world. Advancells uses the Sepax 2 cell separation system designed by Biosafe Switzerland which is considered to be the best automated, closed Point of Care cell separation device currently available in the world. The Sepax 2 has the ability to consistently deliver over 95% cell viability in processed samples and is able to concentrate cells multiple folds for use in therapeutic purposes. In India, the Central government has been trying to introduce a set of rules for regulating this medical technology since last seven years. In 2007, the Department of Biotechnology (DBT) and Indian Council of Medical Research (ICMR) jointly formulated the National Guidelines of Stem Cell Research and Therapy. Subsequent to that, the health ministry had set up a National Apex Committee for Stem Cell Research and Therapy (NAC-SCRT) and an Institutional Committee for Stem Cell Research and Therapy (IC-SCRT) to regulate and oversee the activities of this sector. Institutions and investigators carrying out research on human stem cells must be registered with NAC-SCRT through IC-SCRT. This is the first step towards streamlining the stem cell research in the country. The existing guidelines for Stem Cell Research and Therapy (2007) address ethical and scientific concerns to encourage responsible practices in the area of stem cell research and therapy. The guideline categorizes stem cell studies into three main groups, covering permissible, restricted and prohibited research. All institutions and investigators carrying out research on human stem cells, existing and newly derived stem cell lines generated in India or in other countries should have prior approval and should be registered with NAC-SCRT through IC-SCRT. It takes a long time to get approval for conducting stem cell clinical trials in India. The regulatory approval process for conducting clinical trials for stem cell based products is evolving and the government bodies are involved in publishing a new guideline for the use of human adult stem cells for therapy and product. The new guideline will address the development, manufacturing and quality control for stem cell therapy & product. Despite of these odds and challenges like skepticism associated with the therapy that has been termed as experimental by the government, Advancells currently conducts 5 to 7 treatments in a month. Its work force is expected to double over the next few months. Passionate about the possibilities and unlimited potential of adult stem cells, the company aims to continue delivering technology for safe and effective treatment of a wider base of patients in accordance with the highest medical standards across the country. Advancells is headquartered in Noida. Advancells has acquired a large base of patients through its online and offline marketing tactics and also through references from doctors, hospitals, physiotherapy centres, special schools etc. With such giant leaps, company has gone beyond the Indian sub-continent and now has representative offices in Bangladesh and Australia. Talking about Stem Cell Therapy and its scope in India, Vipul says that “The field of stem cell biology and regenerative medicine is rapidly moving towards translational research and eventually to clinical practice in India. Hopefully it should become a standard therapy in the near future.Stem cells will be available as off-the-shelf product in the near future for treating various unmet medical needs. Majority of these products will be based on adult stem cells. New up-scaling technologies will emerge for mass production of stem cells without losing their inherent ‘stemness’ properties, thereby making stem cell products affordable”. Another development in stem cell is in the form of Stem cell banking. A stem cell bank is a facility that stores stem cells derived from amniotic fluid for future use. Today, it is a worldwide phenomenon and in many countries it is now mandatory for doctors to inform parents about stem cell banking when they give birth to babies so that the stem cells can be extracted from the umbilical cord. It is assumed that Stem Cells collected from Cord blood can be stored for long periods of time (up to 21 years banking is being offered now) and can be used in case the donor require the cells for autologous or certain allogeneic conditions. Advancells is expanding with its state-of-the art stem cell facilities and has the experience of touching lives of 8000+ patients. Stem cell research has been one of the most marvelous discoveries over the last century. This discovery has inspired hundreds of scientists around the world. These peculiar cells can affect everyone around the world from the blind to the most tremendous athletes in the world. The most innovative discoveries of modern medicine would be possible in the future, due to stem cell research and innovative ventures including Advancells are definitely going to corroborate the Stem Cell Industry!